Note that there’ll be no pointing and clicking your way through Ancient Shadows unless you’re a Kickstarter backer or a premium member. All you have to do is contribute with €15 (approximately $20) to gain access though, which will also let you play the final version immediately upon release; along with one through three, and all future chapters. Anyway, with its release scheduled for February 14th, there’s not much time to squash bugs and apply some last-minute polish, so I’ll be brief. As with previous installments, the beginning and end has been cut; it’s a test build after all, not “play before everyone else”. Also making its return is the ‘Leave your mark’ initiative, which lets a few lucky beta participants create a description for certain in-game items. Neat, eh? What, already a backer? 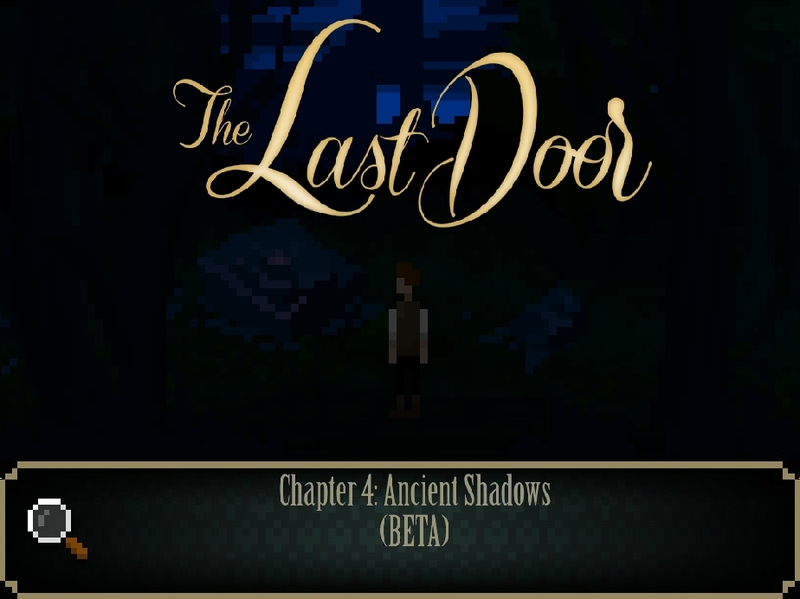 Head over to the The Last Door website and help The Game Kitchen prep the fourth chapter for launch then. Not a backer? Well it’s not too late, as donating €15 will grant you premium membership, while also helping them progress towards stretch goals. Should you want to sample the goods before spending money, The Letter (#1) and Memories (#2) can be played for free, while The Four Witnesses (#3) still carries a pay-what-you-want price tag. So turn the lights off, put those headphones on, crank up the volume and get ready for a horror adventure quite unlike any other.